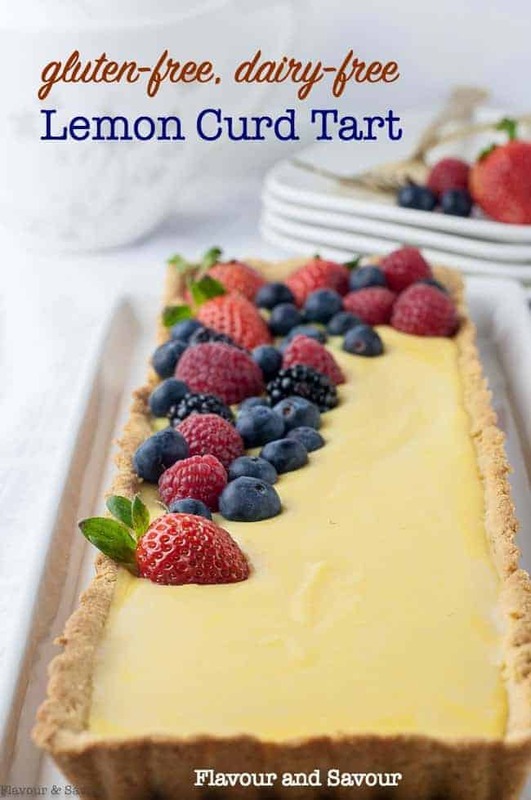 This luscious lemon curd tart is gluten-free, dairy-free, and refined sugar-free! 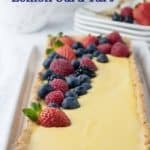 It’s made with a tender almond flour crust and garnished with fresh mixed berries. 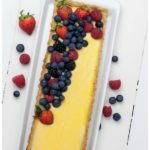 This luscious Gluten-Free Lemon Curd Tart recipe makes a special dessert that everyone loves, whether they’re following a gluten-free diet, or not. With no dairy products or refined sugar, it’s a dessert that all your guests can safely enjoy! There’s no need to skip pies and tarts any longer, just because you’re avoiding gluten. I’ve made this sweet lemon curd more times than I can count! I detailed the instructions in this post, How to Make Paleo Lemon Curd and Why You Should. Over the years, it has consistently been one of the most popular recipes on Flavour and Savour. It’s just that good! Why should you make your own lemon curd? Making your own lemon curd just makes sense. While it does need patient stirring time on the stove top, it’s not difficult at all. You can avoid the additives that may be present in store-bought lemon curd and greatly reduce the amount of sugar. Most lemon curd recipes call for 1/4 pound of butter and 1 1/2 cups of sugar. This one, however, is made with coconut oil, honey and Meyer lemons and it’s a simple recipe that couldn’t be easier! Make the crust first. Combine the ingredients, press into a pan and bake. Next, make the lemon curd. Zest and juice the lemons. Whisk and heat the eggs, honey and zest over low heat. Stir in the lemon juice and coconut oil. Heat until bubbles just begin to form around the edge of the pan. Strain, cool slightly and pour into the crust. 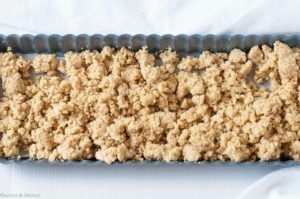 I’ve used this tender almond flour crust in other recipes, most recently to make Gluten-Free Cinnamon Pear Tart and Gluten-Free Sour Cherry Almond Tart. You could make this lemon dessert overly decadent by topping it with whipping cream or whipped coconut milk, but it’s not necessary. This dessert is delicious by itself. I chose to garnish it with fresh organic berries both for their nutritional value and their beauty! 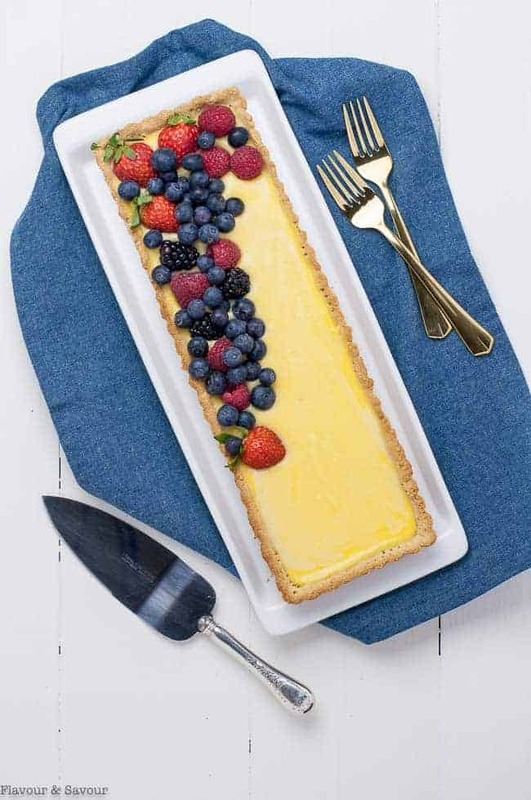 Can I make this Lemon Curd Tart ahead of time? Yes! This recipe can be made in stages, if you like. The lemon curd can be made and stored covered in the fridge a few days before you need it. Prepare the crust and let it cool completely, then add the curd and decorate it with berries. 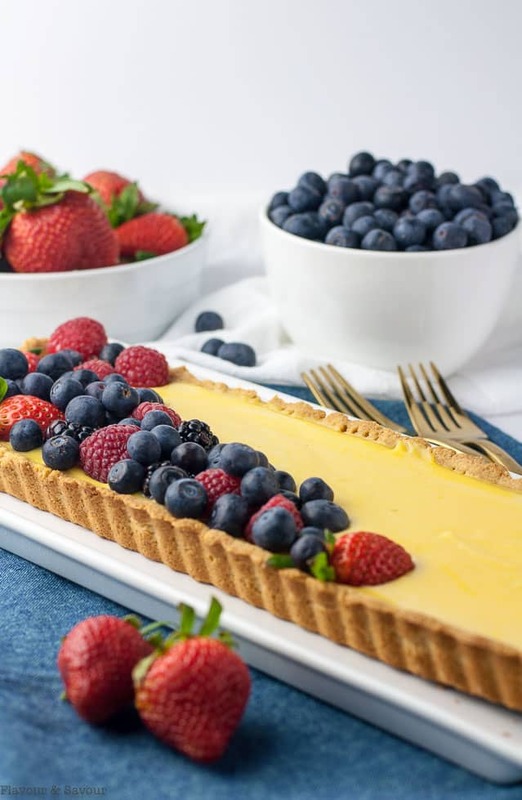 If making the day before, cover and refrigerate the tart, and add berries just before serving. 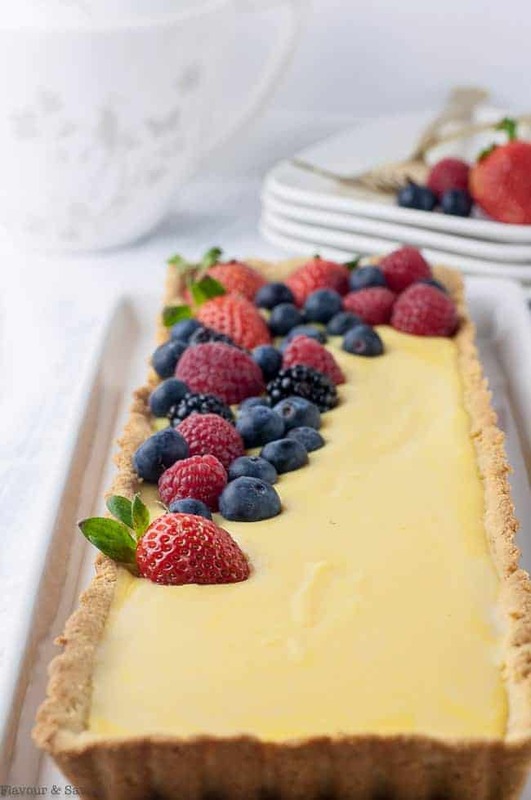 What type of pan should I use to bake this tart? 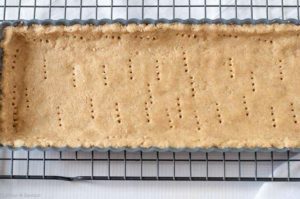 I used a rectangular tart pan with a removable bottom, roughly 14 inches by 5 inches, but this recipe will also fill a 9-inch round tart pan with a removable bottom. What else can I make with Lemon Curd? 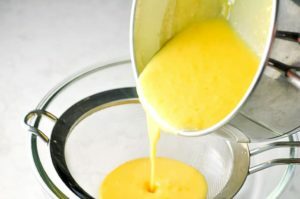 Lemon curd can be used as a spread on pancakes or waffles, as a filling for a layer cake or strawberry shortcake. 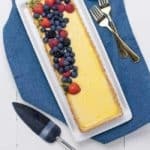 Make Lemon Tarts with Blueberries , try this Mini Meyer Lemon Parfait , this Easy Lemon Curd Fruit Dip or simply serve it in tiny cups with fresh berries. It’s sweet, creamy and delicious! UPDATE: Note: This lemon curd recipe is not difficult, but I’ve discovered it’s even easier when made in the microwave. Check this 5-Minute Microwave Lemon Curd recipe. Same ingredients, shorter time! 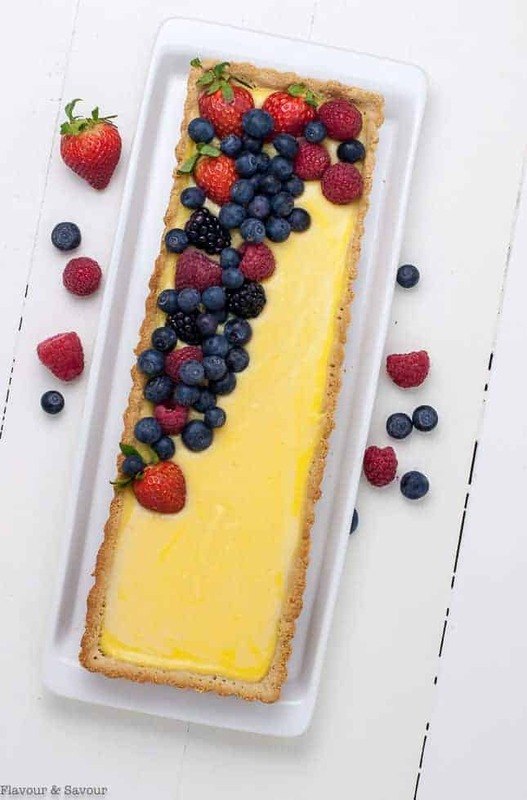 This luscious lemon curd tart is gluten-free, dairy-free, and refined sugar-free! It's made with a tender almond flour crust and garnished with fresh mixed berries. Combine superfine almond flour and oat flour and stir in melted coconut oil (or butter) and maple syrup until well blended. Transfer to tart pan. Press firmly into the bottom of the pan and up the sides, as evenly as you can. Prick all over with a fork. This will allow the steam to escape and prevent the crust from puffing up while it bakes. Transfer to oven and bake for 10 - 12 minutes or until golden. Edges will begin to brown slightly. Remove and let cool completely before adding filling. Zest the lemons. While Meyer lemons have a wonderful flavour, you can certainly use regular lemons in this recipe. If using Meyer lemons (which are often smaller) you may need 2 to get enough zest. Squeeze the juice, measure 1/2 cup and set aside. Stir in the lemon juice and the coconut oil (or butter), one tablespoon at a time. Keep stirring to prevent it from scorching on the bottom. Continue to cook and stir until the mixture has thickened and is just beginning to bubble. You'll think it will never happen . . . but it will. Don't let it boil. Remove from heat and strain through a sieve. Don't skip this step. You'll be surprised at the solids that remain in the sieve. If not using right away, store in glass jars, covered, in the refrigerator. The lemon curd will thicken as it cools. Pour slightly cooled lemon curd into the prepared crust, smoothing to the edges. Garnish with fresh berries and chill until serving time. Cut into 6 pieces and serve. Thanks for your question! You might want to try this recipe for a gluten-free pie crust. It uses a gluten-free flour blend. https://glutenfreeonashoestring.com/extra-flaky-gluten-free-sour-cream-pie-crust/ OR If he can have coconut flour, you might try the crust from this recipe: https://www.texanerin.com/paleo-vegan-raspberry-coconut-tart/ Good luck! I’d love to hear your results. I just wanted to let you know that I have made this beautiful dessert twice and my friends loved it! They are following a gluten-free diet and were so appreciative that I had made a special dessert for them. I decorated it with blueberries and it was so pretty! Thanks so much for this recipe! That’s so thoughtful of you! I’m sure they felt very lucky to have you make this dessert just for them! Thanks so much for letting me know! Can I make it egg-free? Any substitute for eggs? Hi Vivian, I have never tried it with an egg substitute, so I’m not sure. The eggs act as the thickening agent in this recipe. The only substitute I know of is a flax egg, but I don’t think this would work in this recipe. Thanks for your question! Thank you so much for this recipe–it’s delicious!! I’m not much of a recipe review poster, but I’ve used this recipe several times and it’s delicious and makes me so happy, so I felt compelled to leave a review! I’ve had luck replacing the oat flour with whatever combination of whole grain gluten free flour I have–buckwheat, teff, white rice… I have also been making the lemon curd with vegan butter and it’s very tasty! Thanks so much, Lotus! I love it when my readers let me know that they have made one of my recipes. And thanks also for sharing your experience using other flours. That will be helpful to others, too!